When designing for children-oriented businesses, such as kindergartens, schools, baby shops, toys shops and others, you cannot opt for a boring, rigid-looking website theme. 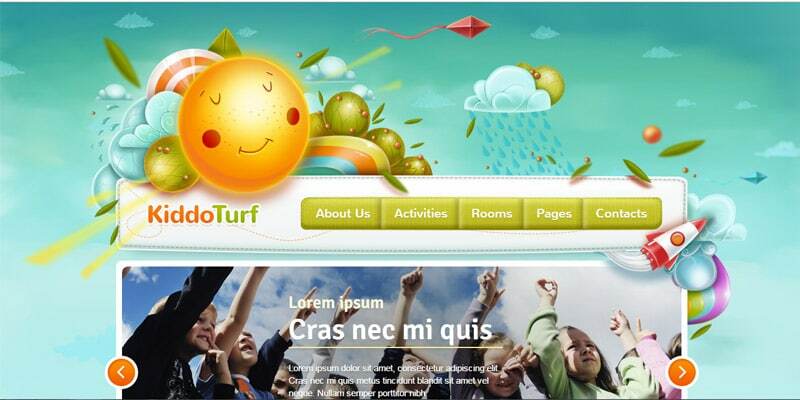 If you want to look kid-friendly then your website must be joyful, colorful and beautiful! Below, we selected 21 kids website themes and templates, all of which feature playful and vibrant designs.These kids website themes were created for various types of content management systems, such as Magento, WordPress, Opencart and even Prestashop! They can be easily customized to fit your needs and have many cool features you can use. These themes and templates are fully responsive and offer a variety of features that you’ll find highly useful. Some of these features include brand logo and sliders, advanced mega menus, powerful administration panels, CMS blocks, built-in sidebars and custom defined sidebars, fluid product grids, variant image switching, icon sets, custom widgets, shortcode managers, cycle sliders, device compatibility, multilingual support, social network sharing, and so much more! With so many options there are no limits on what you can create and how you choose to display it. Here they are! We think you’ll enjoy these as much as we enjoyed finding them for you, and we hope that they will guide you well if you’re working on a kids website, now or in the future. Fiora has a responsive design and it was built on a Bootstrap framework. 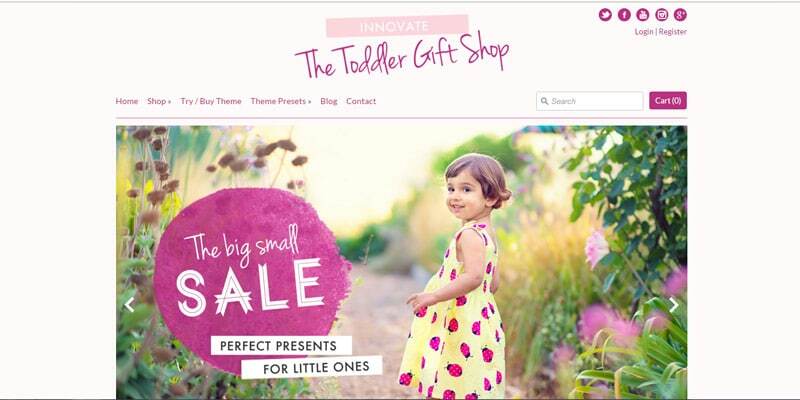 It contains 2 homepage layouts which are ideal for selling kids fashion, toys and other baby belongings. This is yet another great kid website template. It is a fashion e-commerce HTML theme specially designed for selling baby clothes. It has so many colors and looks fun and friendly. It is also really easy to set up and customize. Kids is a lovely baby online store template which contains 10 PSDs in the package, which means you can easily customise it to best fit your interests. Kids Market is a Magento responsive theme which will look great on any device and browser. It is perfect for selling online products for babies, and not only. It comes packed with many useful features, such as HTML5 and CSS3 coding, Google Fonts, multiple language support, no core modifications, SEO (Search Engine Optimization) friendly, fast Loading optimization, and more aweome features you can use! See what it has to offer and launch your online store today! Sunny Kids is a really nice premium WordPress theme. This example is very easy to setup and it comes with really nice features. It also has a responsive and joyful design. 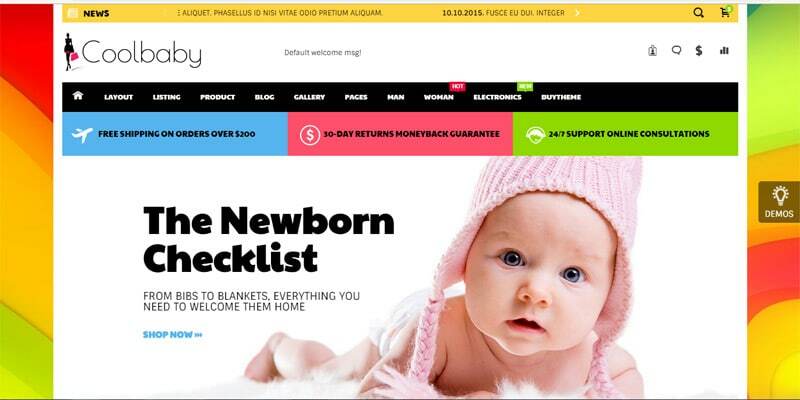 With this template, you’ll build an e-commerce website for baby toys in no time! This theme supports the WooCommerce shopping cart system. 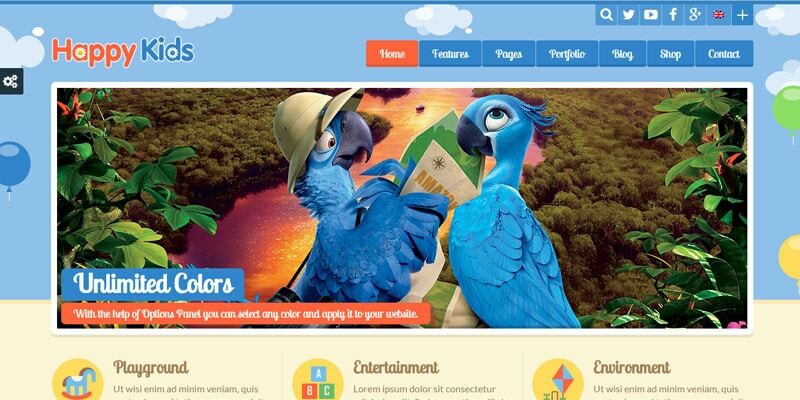 It has a really nice interface design that uses a colorful and illustrated background. 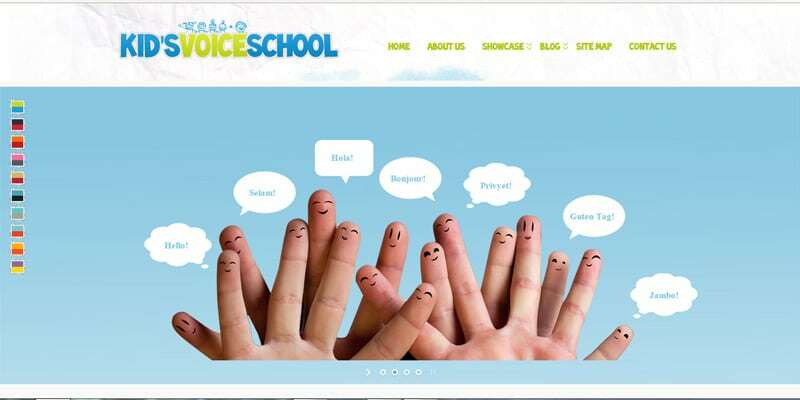 Kid’s Voice School is a beautiful WordPress theme for a school or childcare website. It also has a friendly interface design, 10 gorgeous color variations, 11 custom widgets, 7 built-in sidebars, and more! 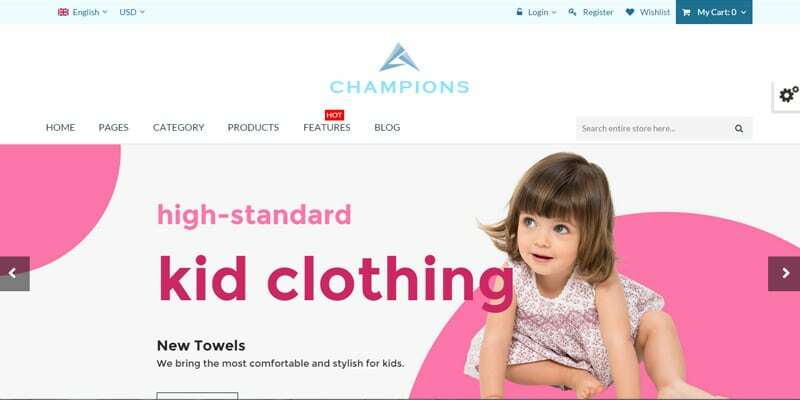 This Children Store template has a responsive design and it also supports the WooCommerce shopping cart system. 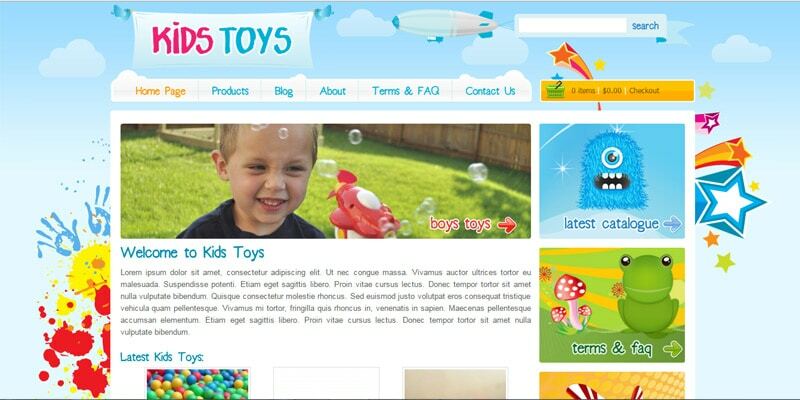 This template looks nice and joyful and it is perfect for a kid online store. It was built using a Twitter Bootstrap framework. This is a really nice and creative multipurpose Magento theme. It is called Champions and contains some powerful theme settings that lets you change colors, fonts, typography and much more. The Pav Summer Shop is an OpenCart theme which contains 6 sample sites and 5 header styles. Each sample has a different design layout. Happy Kids will definitely put a smile on your face. It has a clean yet professional design created with HTML5 and CSS3 technologies and comes with unlimited color schemes and 9 cute background patterns. 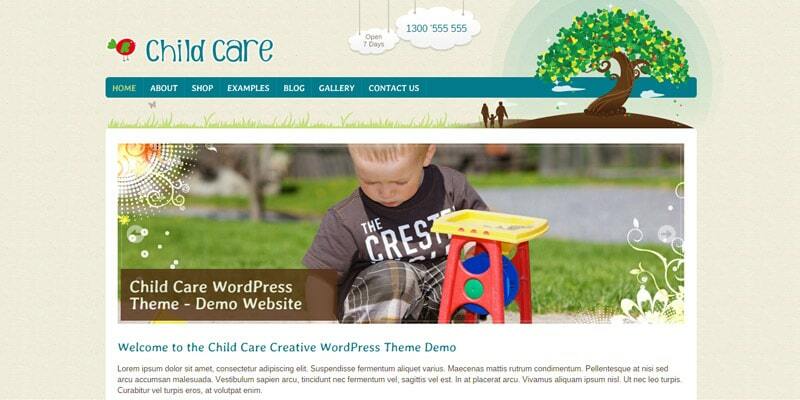 The Child Care Creative WordPress eCommerce theme might just be the ideal theme for your online shop selling children’s products. 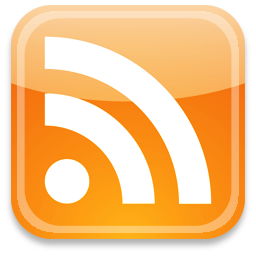 It has a 5-minute setup Wizard and a powerful page builder. This template is fun and joyful and it is a website that would be loved by both children and parents. It has lots of lovely vector illustration and 3D elements with shadows and other cool effects. Expression Naturale is ideal for store owners and professional web designers who are working on similar projects. This theme has a powerful slider to showcase multiple product or brand images on your home page. It also features a multi-level drop-down menu to help customers easily navigate your store and multiple products or promotions in a grid-style layout throughout your store. 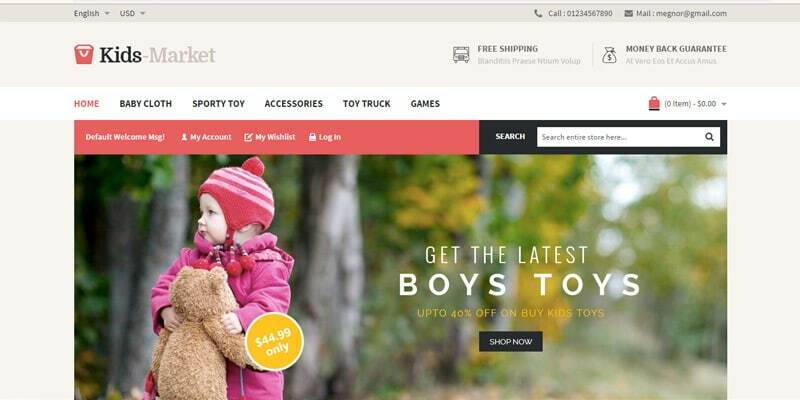 The Doll Store is a responsive Prestashop theme. It is perfect for your business’ website and it will present your products in a modern and functional way. This theme has an Ajax layer navigation, product tabs show bestseller products, featured products, Facebook Like, pos slideshow, products category with slider, and many other features. Trella is yet another cool Magento theme with powerful features and a really cool design layout. You can easily customise and it has a powerful admin panel. It comes with 3+ Homepages designs, power menu, extensions: SNS Product Tabs, SNS Products, Quickview, SNS QuickSearch, SNS Proaddto, Google Maps in Contact Us page, and more! Child Dooris is a really nice WordPress theme for kindergartens, daycares, preschools and much more. It can also suit any children art and craft businesses. The White Rabbit is a responsive theme that was specially designed to suit online kids stores. It has a responsive and friendly design and it comes packed with lots of pre-designed pages to display your main services. ‘Sunrise Spring’ is a responsive Shopify theme with a friendly interface design. 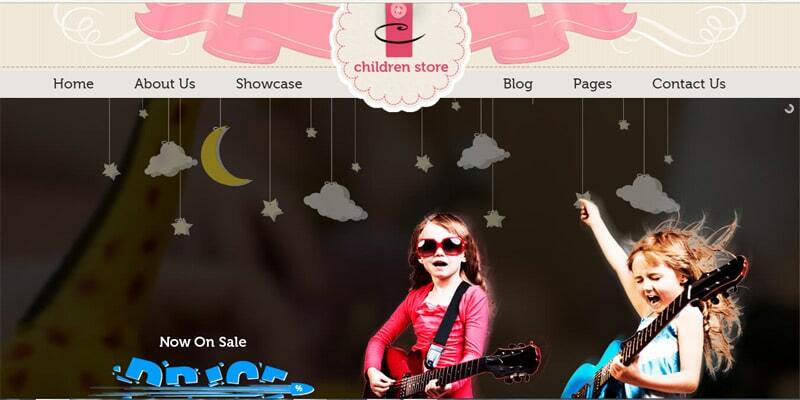 It’s packed with awesome features and it is the ideal theme for kids online shops. PeachClub is a child education responsive WordPress Theme. This example is suitable for kindergarten, child care center, preschool or nursery, school, child school, daycare facilities, preschools and other small businesses. It has a responsive design so you do not have to worry about how your future website will look like on different browsers.